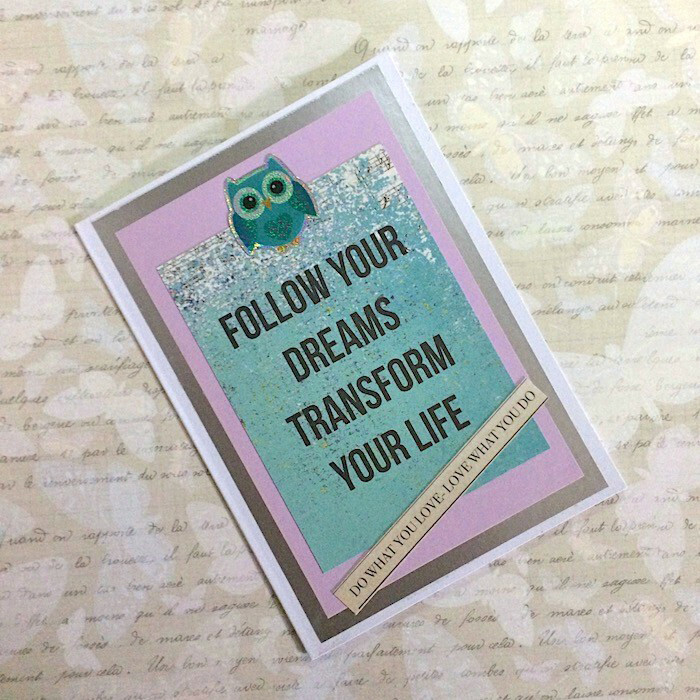 This inspirational card has been made from a quality white commercial cardstock. 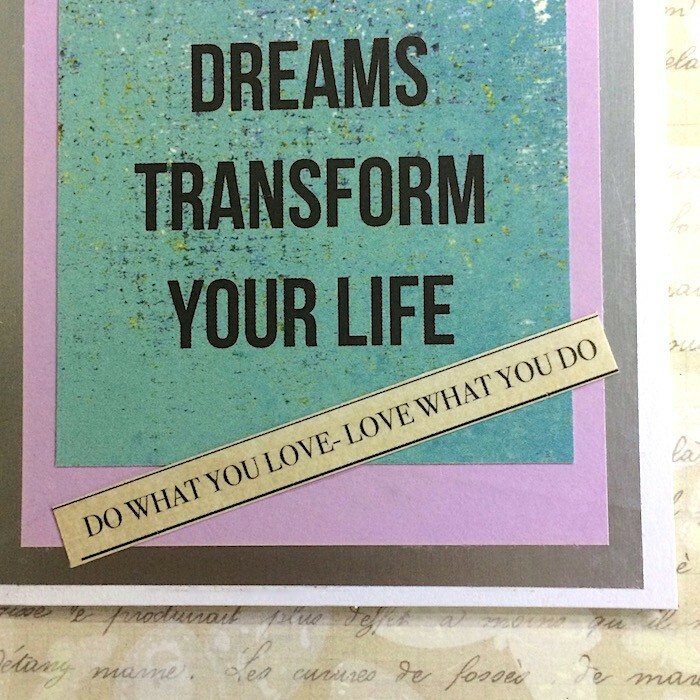 It would be most suitable for a young person who perhaps has talent but is unsure about which career path to follow or perhaps for an adult who is thinking about a career change. 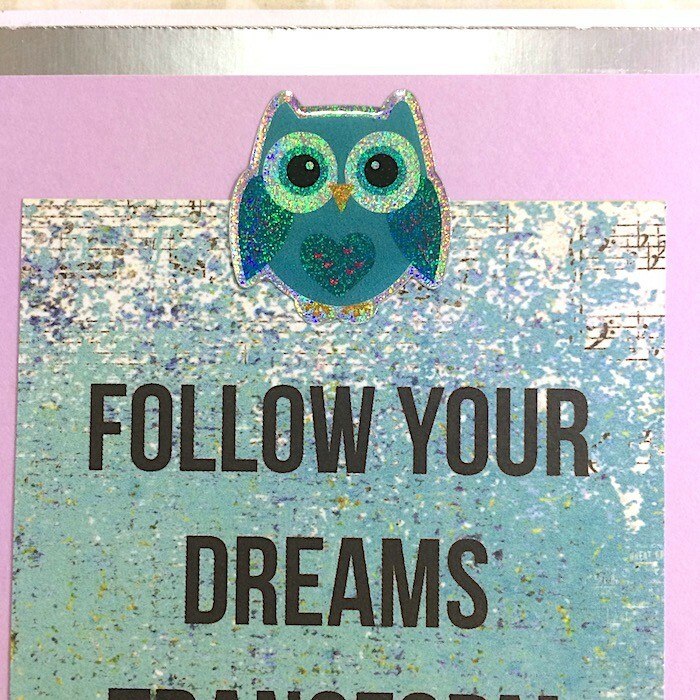 The card has layers of silver and lilac with a turquoise paper on which is printed the inspirational message, ‘Follow your dreams, transform your life.’ I have also added a label with, ‘Do what you love - love what you do.’ printed on it. 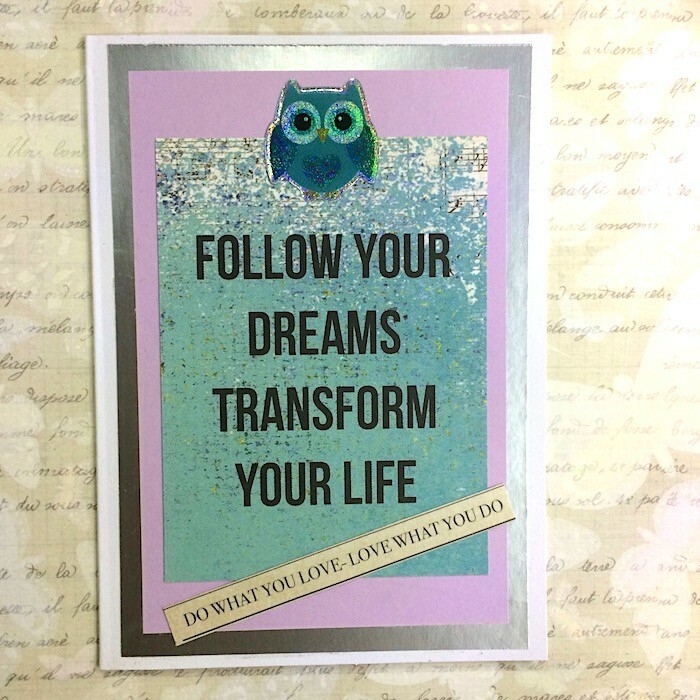 A turquoise owl has been added to emphasise the wisdom of the message. 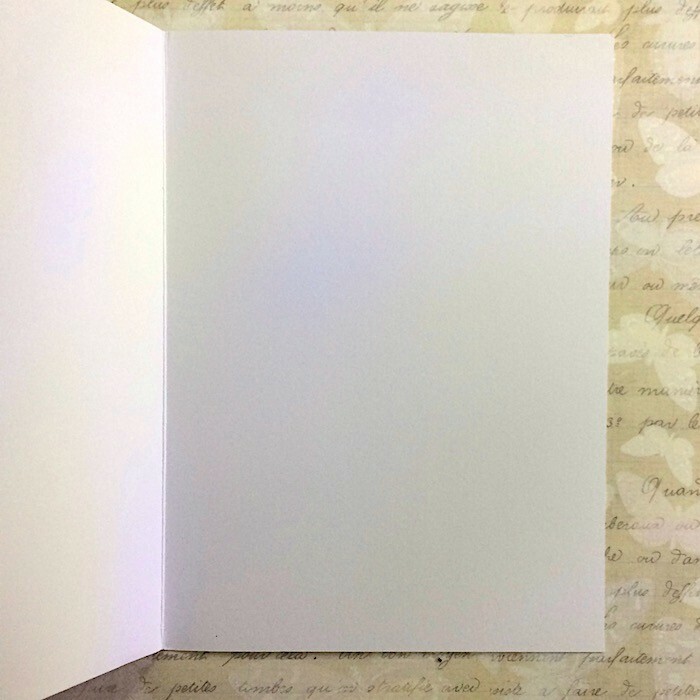 The inside of the card has been left blank for your personal message. 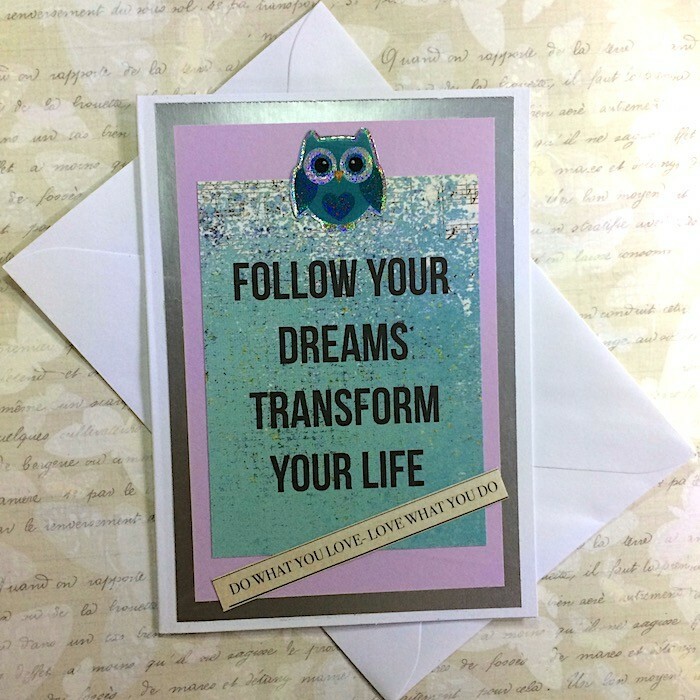 The finished card measures approximately 145 mm x 105 mm and comes with a plain white envelope.